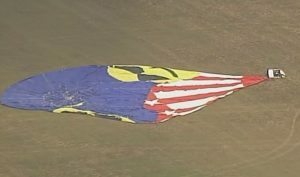 This summer Texas witnessed what is now believed to be the worst hot-air balloon disaster in our country’s history. The balloon, piloted by Alfred “Skip” Nichols, disappeared into the fog shortly after takeoff. It appears the balloon flew too close to power lines and was entangled. The resulting collision caused the balloon to burst into flame shortly before crashing to the ground. All 16 passengers on board were killed. Although it was determined that drugs and alcohol did not factor into the crash, alcohol still managed to become part of this tragic story. It appears that Alfred Nichols was a recovering alcoholic who had several DUI arrests on his record. Once the news media was able to check his background they immediately began to report on his unfortunate run ins with the law because of his numerous DUI convictions. So not only did he tragically lose his life, but he also had his reputation destroyed as well. A DUI conviction is a permanent stain that will negatively impact every significant portion of your life. As we have seen with Alfred Nichols, it may follow you in death as well. Make sure you have the very best defense available. Protect your freedom and your reputation with the best defense available. Get yourself a FORMER PROSECUTOR today.